CAPE CANAVERAL, Fla. — SpaceX is making final preparations to launch CRS-13 in what should be the company’s 17th launch of the year. The flight-proven Falcon 9 and Dragon vehicles are scheduled to lift off on Dec. 12 during an “instantaneous” launch window that opens at 11:46 a.m. EST (16:46 GMT) from Cape Canaveral Air Force Station Space Launch Complex 40 in Florida. 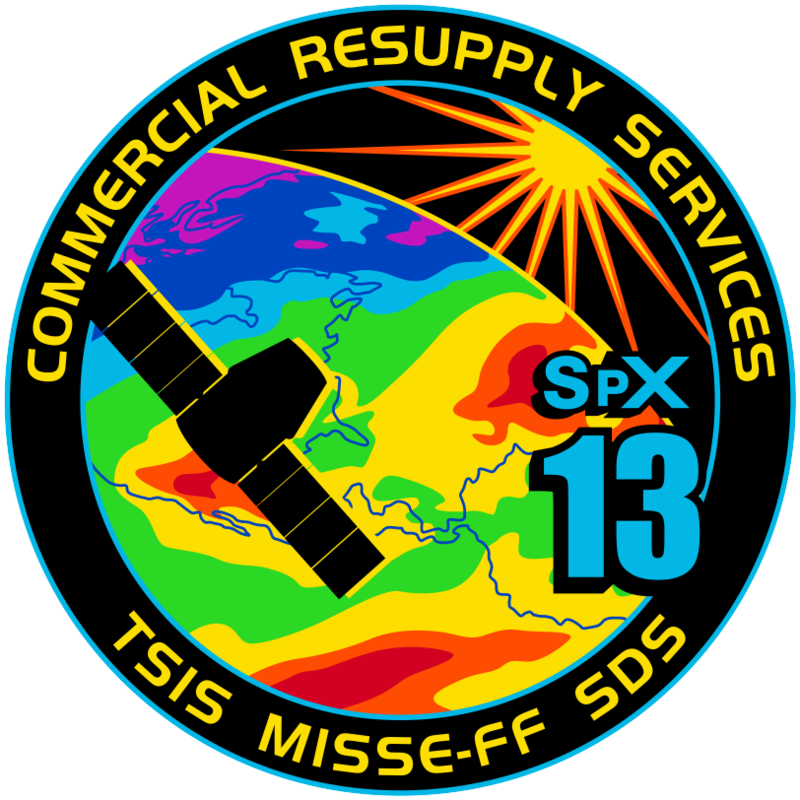 CRS-13 is part of a $1.6 billion Commercial Resupply Services contract SpaceX has entered with NASA. Carrying 4,800 pounds (2,177 kg) of supplies to the International Space Station (ISS), it is expected to remain docked to the orbiting lab for about one month before returning to Earth (for a hopeful splashdown in the Pacific Ocean off the coast of Baja, California). SpaceX will utilize a flight-proven Dragon spacecraft which was used on the CRS-6 mission (conducted between April and May 2015). However, the reuse doesn’t stop there – the CRS-13 Falcon 9’s first stage last flew on the CRS-11 mission on June 3, 2017. If all goes according to plan, the first stage will return to Cape Canaveral’s Landing Zone 1. Among the supplies to be carried to the ISS on this flight include crew supplies, scientific experiments, and spacewalk equipment. The total payload weight also includes nearly 1,422 pounds (645 kg) of unpressurized payloads carried in the “trunk” of Dragon. The Dragon spacecraft does not dock with the space station; rather, it is berthed to the ISS, with astronaut Mark Vande Hei serving as the prime Expedition 53 crew member to capture and berth the cargo vessel to the ISS’ Harmony module. To gain a better understanding of how plants sense and react to gravity, an experiment is being sent to the station for one simple reason: plants tend to respond to gravity, sending their roots downward. How will these plants react when there is little or no gravity? To find this out, the Plant Gravity Perception (PGP) mission will use a “study organism” – Arabidopsis thaliana – which has been included in the CRS-13 payload. According to a post made by NASA, plants tend to detect gravity via statoliths – small starch-filled packets that settle at the base of gravity-sensing cells. As always, medical research is one of the core areas of research done on the ISS and the Biorasis Glucose Biosensor investigation is looking into how daily diabetes management might be improved via a wireless medically implantable continuous glucose biosensor (Glucowizzard). Those seeking a deeper understanding of the dynamics of how our Solar System works won’t be left wanting during the CRS-13 mission. With the Total and Spectral Solar Irradiance Sensor (TSIS) as one of the scientific experiments being sent to the ISS. TSIS is being sent to the station to help provide a better understanding of how the Earth’s atmosphere responds to solar output changes. This is anticipated to help provide a better understanding of the dynamics involved in Earth’s climate. With SpaceX reducing the amount of space debris in orbit by having the components of its Falcon 9 launch vehicles return to near their launch sites, the Space Debris Sensor (SDS) – a calibrated impact sensor designed to directly measure the ISS orbital debris environment for 2–3 years – seems like a good addition to the payload. SDS measures about a square meter and will use what NASA describes as a “commercial off-the-shelf-based instrument” meant to provide “semi-real-time” impact detection. SDS will be launched on Dragon’s unpressurized trunk section. The launch is the first to take place from Cape Canaveral’s SLC-40 since the $185 million Amos-6 satellite was lost when another Falcon 9 exploded while undergoing pre-flight tests on the launch pad. 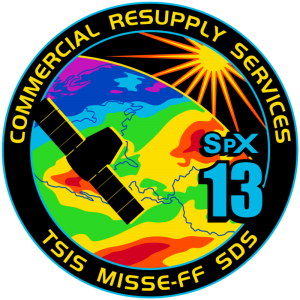 CRS-13 has been rescheduled five times, with launch dates of Sept. 13, Nov. 1, Dec. 4, Dec. 8, and now Dec. 12. If all goes according to plan, the 18th (and final) SpaceX flight of 2017 will be the Iridium Next Flight 4 launching from Vandenberg Air Force Base’s Space Launch Complex 4E (East) in California on December 22.